Give your timber handrails a different look with an aluminium balustrade Brisbane. If you’re thinking of upgrading your deck or balustrades and top rail, Homeshield Patios & Decks can provide the expert advice and experienced team to complete the job. With Homeshield, you benefit from our team being “hands-on” patio builders and designers first – we care about what you are wanting to achieve with your patio or deck, drawing from a wide range of offerings from a variety of manufacturers to make it happen. Let us help you get the job done right and bring your vision to life. Give the Homeshield team a call today on (07) 3216 2799 or enquire online now. To help you determine what is best for your patio or deck project, Homeshield Patios & Decks will help you design a solution and walk you through every step of the process. Have you considered upgrading your timber balustrading or handrails on your existing deck? Sick of painting and staining? Are the old pine ones starting to show signs of rot? 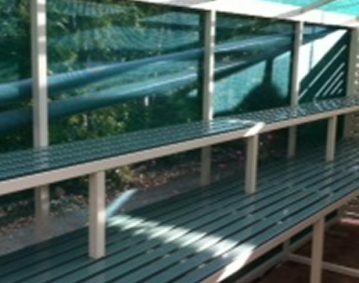 Solution: Upgrade to aluminium balustrading underneath a beautiful Hardwood Kwilia Top Rail. Kwilia is termite resistant, durable, large enough to rest a glass or plate on while entertaining. The Aluminium balustrades are powder-coated so you will never have to paint or cut in again. Easy maintenance and longevity and opens up your deck to give you a great breeze and view. 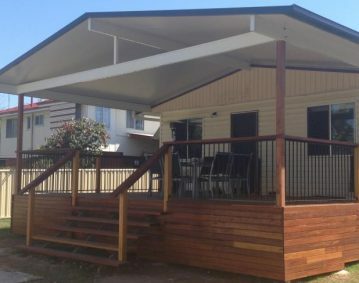 Check out this case study featuring a job we did for a client in Bald Hills, North Brisbane. 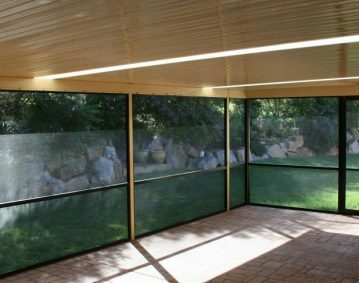 Homeshield Patios & Decks offer an extensive range of patios, decks and home improvement solutions to suit all budgets. Let us provide you with outdoor entertainment and living at its best, call us today (07) 3216 2799 or enquire online now.